Much to my surprise, in the seven years that I have been running this website, the most read post of all time is not about kezayis, the ban on my books, or charedim and the IDF. Instead, it's one that I put out a few weeks ago, Modern Orthodoxy Fails Again. In that post, I expressed bewilderment and dismay that the Modern Orthodox community of Teaneck was hosting a fundraiser for the charedi educational network of Chinuch Atzmai. Since that time, I have been steadily corresponding with one of the rabbinic leaders in Teaneck who organized this campaign, as well as a senior representative of Chinuch Atzmai. They both reached out to me after being very distressed by my post, and they respectfully but forcefully argued that it was misinformed in certain crucial aspects. It turns out that there was indeed some misinformation, and I am no longer bewildered as to why the rabbinic leadership of Teaneck supported this cause. It is therefore important that this post reaches just as many people as the first one did. So if you sent the original post to anyone, please send them this one too! However, I do still maintain that the cause is potentially problematic for Teaneck. I also think that there is a huge difference in perspective for someone living in Teaneck and someone living in Israel. In the original post, I asked, "Why on earth would Modern/Centrist Orthodox, Zionist Jews, fund a charedi, non-Zionist system of yeshivos, which is opposed to educating children towards professional careers?!" 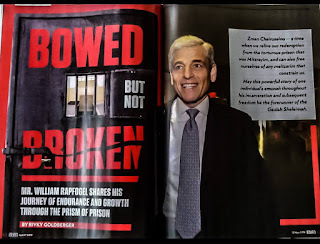 This was based on the initial publicity for the Teaneck campaign, which spoke about the Chinuch Atzmai network in general and the 108,758 children enrolled in its schools. However, it turned out that the campaign was not actually for the general Chinuch Atzmai network. Instead, it was specifically for a transportation fund serving a distinct stream of Chinuch Atzmai schools - those serving children from families that are not particularly religious. These schools, known as outreach schools, do indeed have a strong secular curriculum. I apologize for giving a false impression about this. Furthermore, as my correspondents argued, this particular campaign was for the Hadera area and its outlying communities. The children in these communities are from families who are not especially motivated to give their children a strong Torah education. If not for the Chinuch Atzmai transportation fund, which pays to bus these children to the Chinuch Atzmai schools, the children would go to local schools that are not particularly religious. For both these reasons, both the Modern Orthodox rabbinic leader in Teaneck and the senior representative of Chinuch Atzmai argued that my post was seriously mistaken and damaging. They said that this cause is something that should be supported by all religious Jews, regardless of their particular worldview. But I would respectfully disagree. It is indeed true that this campaign was specifically for outreach schools, which do have a strong secular education. But this is not relevant. The main issue with schooling in Israel is not the level of secular education provided in elementary schools. Rather, it is the path that the school sets the child upon. Broadly speaking, there are two paths for education in Israel. One is the path of high school, army service, college, and professional careers. The other is the path of yeshivah ketana (which has no secular studies), yeshivah gedolah, kollel, poverty, and menial work. The first of these paths carries great risks. The drop-out rate from Torah observance in high school, army and college is unfortunately very high. On the plus side, at least it leads to people fulfilling their roles as husbands, fathers, and contributing members of society to the army and the economy. The second of these paths also carries great risks. True, the drop-out rate from Torah observance is less than with the first path. However, it still exists, and in greater numbers than is commonly presumed. See this new article which speaks about an extremely high dropout rate among charedim. Furthermore, those who drop out usually fall far lower in life than those who are never charedi in the first place. And those who do not drop out, and who succeed in the charedi path, usually fail in their role as husband/father providers, and as contributing members of society to the army and the economy. Schools guide their students along one of these two paths. It doesn't make much difference how much secular education there is in elementary schools. (It's not even necessarily relevant if there is secular education in high school - consider Maarava, which has a strong secular education, yet with which almost all its graduates take the kollel path instead of army/college/career, and whose famous mashgiach, Rav Leff, is opposed to secular education.) The crucial issue is towards which path does the school direct its students. The Chinuch Atzmai representative wrote to me that the funds from the Teaneck campaign are going to the Mada'im VeYahadut school. He further reported that a large percent of the students attend Mada'im V'Yahadut's own high school program that continues through twelfth grade (I'm not sure where they are directed after that), and the rest attend a state religious high school. Looking at their website, Mada'im V'Yahadut seems to be a very fine school. However, the publicity article for the Teaneck campaign stated that it was for a very different school: the Ner Shmuel boy's school and Beis Yaakov girl's school. You can take a look at this YouTube video about the school. It depicts young children, first and second graders, that are clearly from non-charedi homes. But look at the children from the graduating class! They are wearing hats and jackets, and being taken to meet "the Gedolim." They are clearly children that are proceeding to yeshivah ketanah, not high school. The goal of this school is to be "mekarev" these children to being charedi. When I pointed this out to the Chinuch Atzmai representative, he responded that Chinuch Atzmai is seeking to fund transportation for both schools. There was some back-and-forth in which he said that there is only enough money for one, and wavered between which school the campaign money should go towards; his final statement was that it would go to Mada'im VeYahadut. From his perspective, it didn't make much of a difference. From my perspective (and, I believe, from the perspective of most people in Teaneck), it makes all the difference in the world. The Mada'im VeYahadut school may well be sufficiently in line with the values of Modern Orthodoxy (though with some reservations - see below). The Ner Shmuel school, in my opinion, is not. There are some other relevant points. The rabbi from Teaneck told me that there are no strong religious alternative schools for children in the area of Hadera. This was apparently based on information that he received from Chinuch Atzmai. I did my own research, and this is simply not true. While many state religious schools are indeed weak, there are several strong religious Zionist schools in the Hadera area. When I mentioned this to the Chinuch Atzmai representative, he told me that those schools would not accept children from non-religious homes. My own sources were skeptical of this claim. For my correspondent, the bottom line was that the most important thing is that these children should be shomer Shabbos. Personally, I think that this is a gross oversimplification to the point of inaccuracy. I discussed the matter with a senior mechanech, from the yeshiva world, with decades of experience in both the US and Israel. He argued to me that there are more severe problems with children in the charedi system, who are at great risk of failing in every aspect - both religiously, and as members of society. Another point: the Chinuch Atzmai representative told me that these outreach schools are catering to the values of the families. However, he simultaneously admitted that the Torah educators in these schools are exclusively charedi. Personally, I see a contradiction here. The families are Zionist and believe in traditional Jewish ideas about work. If the schools are just about making kids religious, rather than about making the kids charedi, then why are there no Dati-Leumi educators? Why aren't the kids exposed to any Dati-Leumi rabbanim, and instead only to charedi rabbanim? On a related note - if this is a cause that every religious Jew can stand behind, how come there are no Israeli Dati-Leumi rabbanim endorsing these schools? 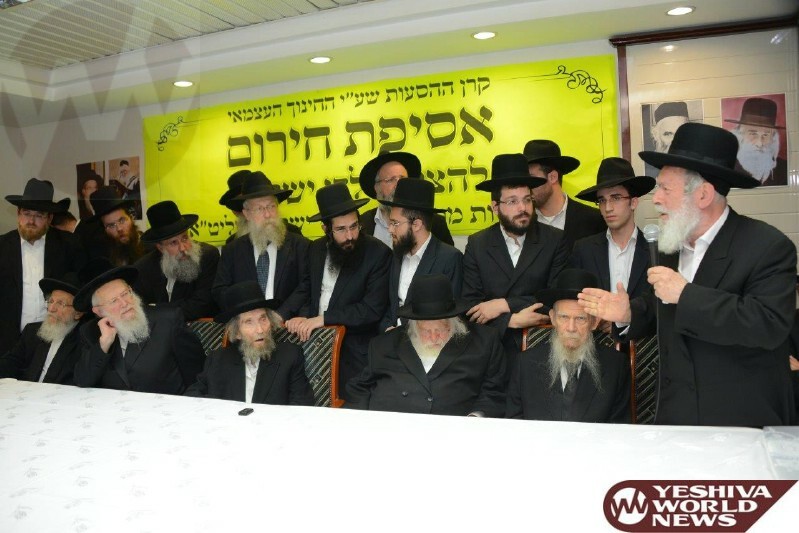 Look at the above photo, demonstrating the rabbinic line-up in support of the transport fund for these schools. Where are the Dati-Leumi rabbanim calling for support? To me, this lack of haskamot speaks volumes about this not being a cause that is in line with the values of the Dati-Leumi communities. And while there are Modern Orthodox rabbis in the US endorsing it, it seems to me that this is based on information coming from Chinuch Atzmai sources. Another related issue that adds to the complexity of this topic is the question of whether one should fund a charity that is not aligned with one's worldview. For example, should the Litvishe or modern Orthodox communities support a messianic Chabad outreach school? After all, it could be argued that the bottom line is that they will make kids be Shomer Shabbos. For some, this is adequate reason to support them, at least to some extent. Others (especially in the chareidi world) would argue that these schools are so flawed in our view that even if there is some net benefit, our charity dollars should instead go to causes that are more aligned with our worldview, of which there is no shortage. But what if the other cause is servicing a particular sector that one's own charity of choice is not serving? Again, a complex question. Relating to this, the Chinuch Atzmai representative made a point that may well be correct. He argued that even though I offered alternative charitable causes for people to support (specifically, Derech Chaim and the Biblical Museum of Natural History), the reality is that people will give less to those causes than they would have given to this campaign. That might be true (although not necessarily relevant), though there is no way to know with certainty. All I know is that my initial post resulted in precisely one donation to Derech Chaim; the follow-up post, in which I lamented this, did raise quite a bit more, but still short of what I would have hoped for. I still have not completed my research on this complex topic, and there are a number of questions for which I am still seeking answers. For example: Is it true that the cut in state funding to Chinuch Atzmai’s transport operations was "part of an anti-Torah movement effort to undermine Torah education," as they claim? Why don't Dati-Leumi schools offer a subsidized transport option? What do Dati-Leumi rabbanim, and Dati-Leumi educators in the Hadera area, say about the Chinuch Atzmai outreach schools? Do they support them, and if not, why not? Are they simply jealous of the competition, or do they have a serious ideological disagreement? What do they say is the best option for children in outlying communities? Perhaps someone can find out the answers to these questions. In the meanwhile, I would say as follows: If the issue of secular education in elementary schools is the only reason why you did not contribute to the Teaneck Chinuch Atzmai campaign, then please contribute to them (write to teaneck@chinuchatzmai.org or call 201-252-5550 for details). If the broader issue of the path in life is what concerns you, then you may likewise wish to contribute, but you would want to specify that it is only for the Mada'im VeYahadut school. If you pulled out of the campaign because you became convinced that the entire system is wrong, then please donate to Derech Chaim or some such similar cause. And no matter what your position, if you forwarded the original post to someone (or "liked/shared" it on Facebook), then please do the same with this! To close, here are the promotional videos for the Ner Shmuel school and the Mada'im VeYehadut school. (Those who subscribe to this website via email will not be able to see the videos unless they visit www.RationalistJudaism.com.) Some will see the Ner Shmuel video as showcasing a school that is mekarev children to the true Torah path. Others will see it as showcasing a school that distances them from it. The gap between the two views is so vast as to probably be unbridgeable. In any case, just look at the contrast with the video for the Mada'im VeYahadut school! How can both schools be under the guidance of the same Gedolim?! What are the ideals and values that these schools teach? And to what extent are both videos catering to a desired audience? There are so many questions! "We almost sent our kids to one of those outreach chinuch atzmai schools when we made aliya. The local residents assured us that the place 'wasn't that charedi.' After all, they said, they do celebrate Yom HaAtzmaut. We went to interview the school and it all seemed good. But for some reason I asked the principal where they want the kids to go to in the future. 'To University?' I added honestly hopefully and sincerely. My question was met with a look of contempt and the response 'Of course not.' The principal said it just as a flat out statement of fact. And the bubble was burst. The mask removed. These outreach schools are schools whose aim to to take Israeli kids and turn them into charedim." money is fungible - I'd guess the earmarking suggested would make givers feel better but result in the exact same total spending on both schools. Based on the facts as presented one might conclude that the kiruv /hashkafa issue is a low priority on the list for those you contacted here -else why was not the research you suggested done and publicized (or an alternate route taken)? As I think Joel Rich is pointing out, the key question is not where the money is earmarked but whether all the Chinuch Atzmai schools share funds and support. Thus when a donor in Teaneck funds the Hadera school, they free up institutional money for the core mission of CA which is at odds with the donor's hashskafa. Being told that you are supporting one narrow goal is often deceptive when an institution has an overall budget. You stated the issues very well. I would add, one has to be skeptical of claims that money is only going towards a specific project. This is not only a function of woeful oversight in frum institutions (a separate problem.) Rather, its that when a school has a budget of (eg) $1m, and someone donates money to (eg) a new building, the donor has no idea where his money is really going. All the donations for the new building are pooled into the general revenue stream, and from there the money is distributed - some to the new building, some to utilities, some to salaries, etc. Even if a separate account is maintained, a claim I would be skeptical of, Nahum Feldman already pointed out above that it still frees up resources for other things, and so is tantamount to supporting the overall goal. Yeah, I don't buy it either. I stand by your first post on this matter. We almost sent our kids to one of those outreach chinuch atzmai schools when we made aliya. The local residents assured us that the place 'wasn't that charedi.' After all, they said, they do celebrate Yom HaAtzmaut. We went to interview the school and it all seemed good. But for some reason I asked the principal where they want the kids to go to in the future. 'To University?' I added honestly hopefully and sincerely. My question was met with a look of contempt and the response 'Of course not.' The principal said it just as a flat out statement of fact. And the bubble was burst. The mask removed. These outreach schools are schools whose aim to to take Israeli kids and turn them into charedim. At least the principal was honest. Nope. She allowed the school to do Yom haatzmaut events to cover up the charedi agenda. Inherently dishonest. Slightly off topic: You should know, Rabbi Slifkin, that I have given a lot of my recent tzedakah money to Lemaan Achai because of your recommendation. So don't think your words are not heeded. Same here. Not a lot, but some, which I wouldn't have done if not for your recommendation. It seems from your article that you would rather children not go to Chinuch Atzmai schools even if this means that they will not be Shomrei Shabbos rather than go to Chinuch Atzmai schools and end up Chareidi. Is this accurate? That's a complete misreading of what he said. R slifkin can i clarify one issue with you? Who in your opinion is better? a religious chareidi learning in kolel and not contributing to the army or economy or a non religious working family man who does contribute to the economy and army. Why do you deliberately leave out the middle path? Rabbi Slifkin himself set up that binary choice in this post. And even if this binary choice is only hypothetical, Rabbi Slifkin's obvious preference for the path that is more likely to cause dropping-out of Torah observance for the sake of upholding Modern Orthodox values is quite telling. It is quite important for readers of this blog, whom Torah observance is a priority in their lives, to read and acknowledge regarding Rabbi Slifkin's views. Rabbi Kornreich - you and your ilk have been intentionally and falsely accusing Rabbi Slifkin of all sorts of things for years. Why on earth would any honest person acknowledge your malicious misrepresentation of his "obvious preference"? You also need to look at the QUALITY of those who we call "Torah Observant" and how likely that observance is to be carried over to the next generation. One thing we know from history, is that poverty can, and often does, lead to a wholesale evacuation of religious observance. The Torah warns us of this repeatedly. There's no question that going off into the "real world" has its dangers and that those dangers are in-the-moment greater than (the very real) dangers of staying insulated. However, the insulaters are creating a time bomb - the ticking of which gets louder and more ominous with each passing year and each passing generation. Instead of putting your kochos into attacking charedi society, why don't you put your kochos into reforming Modern Orthodox and Religious Zionist societies? If they were more Torah-oriented, if they instilled more yiras Shamayim and Torah hashkafos into their followers and children, maybe they would be a more attractive alternative to charedi institutions. As it stands, even people who believe in Torah Im Derech Eretz (as I do) would not think of putting their children into MO or Zionist schools. They do not want to endanger their children's neshamos by sending them to MO schools. It is a lot easier to supplement your children's secular education privately than to instill Torah and yiras Shamayim privately, against the tide of teachers and peers. Do you honestly believe that here are no Mamlachti Dati schools that are Torah-oriented and that instill yirat shamayim and "Torah hashkafos"? Do you think all charedi schools automatically do so? If you honestly think of Torah Im Derekh Eretz as an ideal, then none do. My niece attends a dati leumi school that has the words "Torah Im Derech Eretz" over its front door. Does that help? because once you instill your children with torah and yrat shamayim they will generally turn towards a charedi (or at least chardal) lifestyle on their own. while individuals can sometimes thread the needle and move between the extremes, it doesn't work for society as a whole, and generally can't be passed on to your children. bottom line, MO plus torah/yirat shomayim will quickly =charedi. This is, unfortunately,a common misconception among chareidim, that only chareidi schools teach Torah values and yiras shamayim. Anyone who actually bothers to look outside their bubble, will find it to be completely baseless. Aside from the fact that there are many dati leumi schools which are just as ' Frum' as their chareidi counterparts, you should also realize that 'frumkeit' is not the same as religiousity, and many parents do not see it as a goal of education at all. In fact, many would try to avoid it. A school which educates children in a living, vibrant and relevant Judaism represents Torah values much better than one which primarily teaches to wear a borsalino and listen to gedolim. After reading Prof. Marc Shapiro's biography of Rav Yehiel Yaakov Weinberg and other sources on the history of modern Haredi Jewry, it became clear to me that there is no possibility of establishing a Haredi "Torah Im Derech Eretz" philosophy in Israel. This is because TIDE needs to have a comprehensive philosophical end educational framework with a school system staffed by Rabbanim and teachers who believe in it. There is no way such a framework can be established because the existing Ashkenazi Haredi education system neither is capable nor desirous of producing educators and Rabbanim committed to this philosophy. Yes, there are individuals, such as yourself, who believe in it. But the belief that one can educate one's children with the existing anti-TIDE school system while "supplementing" it with secular subjects on the outside simply won't work for most people. This is because the children will be getting mixed messages. At home they are told one thing, that secular education and a career involving academic studies is a good thing, but many if not all their Rebbes in school will be telling them the opposite, in the name of the Gedolei Israel. As I recall, your father was a prominent Rav, in your case, you are able to give strong ideological backing to your belief in TIDE, but others, who don't have such family connections will not have that to give backing to it. I do not live in Jerusalem or Benei Braq which have large Haredi populations, rather I live in a suburb of Tel Aviv that has a religious community mixed with both Haredim and what you call "Zionists", so I don't know how many or how well the Haredi plus external secular studies works out on the ground in those large Haredi communities. I know of several families in my town that tried what you suggest, i.e. go for Haredi education with external supplement of secular education. None of the children ended up living a TIDE life. They either became kollel-only types, or they became "Zionists" and some because not-religious. "towards a charedi (or at least chardal)"
That's a clever trick you pulled there. Chardalim are not at all what is being discussed here. Chardalim serve in the army, get a secular education, including at the university level, generally value secular knowledge (of course, in an Israeli context when it comes to literature etc., but not exclusively), and work. Nothing like the charedi world, and yet full of Torah values and yirat shamayim, often more so than many charedim. They do not want to endanger their children's neshamos by sending them to MO schools. Not wanting to endanger children's neshamos is a worthy goal, the assertion that this is accomplished by avoiding MO schools is a widely-accepted falsehood. without getting into a discussion of what is good or bad, what is the right way or wrong way, where one should or should not donate money...I just want to add one point. if you read any of the Haredi newspapers you would know that they consider this school system to be of utmost importance and the funding of the hasaa system for it to be of utmost importance. without the free hasaa system, they will have a hard time getting parents to send their kids to the schools. And the schools provide the gateway to getting these kids frum, and more specifically eventually haredi. without the secular education the parents wouldnt send the kids, so the secular education is also a necessary tool. it is clear and obvious that the ultimate goal is that the kids eventually reject education and dont go to college but choose to go to yeshiva and kollel. I would be curious to hear stats and numbers to see what percentage of graduates of these schools go on to yeshivas and kollel relative to what percentage goes to army and university. Here's the key phrase: "If not for the Chinuch Atzmai transportation fund, which pays to bus these children to the Chinuch Atzmai schools, the children would go to local schools that are not particularly religious." "Not particularly religious" is not an official category of schools in Israel. This is of course a code word for "standard mamlachti dati schools." A quick Google search informs me that there are at least four Mamad schools in Hadera itself. Anyone who knows what's going on here, well, knows what's going on here: There is a concerted effort to get as many Sephardi kids into Shas-type schools (which teach neither Torah nor Madda) as a way of converting them. That's part of this. wouldn't it have made more sense to raise funds for the local schools? I have even wondered why religious Israelis who benefit from low cost Jewish schools don't raise money for us here in the diaspora. Or, better yet, they should be fundraising for the Torah and Nature Foundation! "I have even wondered why religious Israelis who benefit from low cost Jewish schools don't raise money for us here in the diaspora." I could be wrong, but I think that there's a pretty big income disparity in favor of Teaneck. Also, we choose to live in the US where (outside of Milwaukee) we pay school taxes that don't come back to our kids. Why should Israelis subsidize us for our poor decision? Charlie, the Teaneck community has some extremely wealthy people. While 90% of the community gets by and after tuition payments probably does not have enough extra tzedakah funds for these "outside" campaigns, the 10% that are rich and super-rich DO give plenty to the local schools but also want their tzedakah accounts to spread their wings and find other opportunities - particularly in Israel. I feel compelled to make one small observation: One view that seems to run throughout this post and its comments is that the ideal for all Israeli kids is higher education. That's just not the case. Unlike Americans, most Israeli kids don't go on to university. Nothing wrong with that, and of course this education isn't discouraging them from doing that, but from even getting other jobs. But it's important to point out. Anyhow, whatever the percentage is, there are many within the Charedi sector for whom it would be appropriate. Entering is one thing. How many get the degree? Do you know the American percentages? No argument about your last point. This is beginning to sound like the presidential election. The point is not to vote for your side, whose policies are also pretty bad, but to vote against the other side whose policies are much worse. The article cited for chareidi drop out rates by Rabbi Slifkin is not about dropping out of Torah observance. It is about dropping out of school. True, but what happens when a Chareidi drops out of school? Where does he go? Where can he go and still remain Chareidi? When your entire Weltanschauung revolves around staying in Yeshiva, dropping out of school IS dropping out of the lifestyle. You should really read that article instead of being an armchair sociologist. After giving those stats about drop out rates, the article goes on to describe the existence of dozens of non-mainstream Chareidi institutions designed for those kids who drop out of mainstream yeshivos. Rabbi Slifkin, a number of prior comments questioned why you seem to favor MO or Mamlachti Dati schools, though they certainly have their own issues to contend with. While you have written often of the defects in Charedi education, I am puzzled why you don't address the one area that Charedim seem to be succeeding at, certainly relative to the other streams, and that is the superior knowledge of Torah among their own graduates (generally only - of course there are exceptions). The Mitzva of Talmud Torah demands that a Jew know the entire Torah, in all its depth and parts, and for all the praise you heap upon those institutions that attempt to teach Torah and all other things as well, it behooves you to consider as well whether the average graduate of those schools even knows one מסכת properly, let alone כל התורה. You are simply assuming that charedim succeed in transmitting a superior knowledge of Torah to their own "graduates". You don't know that. It may very well not be true. You also doubt the education of dati leumi students. It goes without saying that many of them probably know a bunch more than you, or the average charedi student. In addition, the Mitzvah of Talmud Torah demands no such thing- if it did, none of us would ever fulfill it. Could you give me a source that one must know "the entire Torah"? I am aware that there is a mitzvah of "talmud Torah" and that one should study as much Torah as possible, but many Jews, maybe most do not have the inclination or ability to delve into the intracacies of the Talmud and to study all of SHAS in depth. Is someone who spends most of his time on TANACH or Jewish Philosophy NOT fulfilling the mitzvah of talmud Torah according to your criterion? I would think that someone who learns Tanach and Mishnah has indeed fulfilled the mitzvah to know the entire Torah, whereas the average yeshivah student, who has spent years doing nashim and nezikin but never learned Tanach, has not. I have been involved in both Charedi and Modern Orthodox schools and am very familiar with the levels of learning in the various streams. I am not near any Sefarim, and the only source I remember offhand is Igros Moshe, YD4, Siman 37. However, the idea is that Mitzvas Talmud Torah has two elements: one, the obligation to KNOW the Torah, and two, the Mitzva of studying any aspect of Torah. That is is well documented and sourced, and it is nearly axiomatic to any analysis of the Mitzva that the first aspect of the Mitzva is the command to know כל התורה. I will come back to you later with clearer references. So basic there are no 'proper' Chazzalic / Jewish sources. Only late Orthodox' sources. I have to call you our on this stupidity. There is no Jewish obligation to learn all the Torah. There might have been a political need in recent years to invent such a 'tradition' but any semi-educated Jew knows what the 'source' for that would be: sectarian in-fighting in the modern period. Go push that snake oil on some frum yeshiva kids who might actually swallow it. 3) Birchei Yosef, YD 246, Siman 1 (in the section that begins 'U'mitivoseih... explaining the Shittah of R Shimon bar Yochai). Other than Mr. Fozzie Bear, I have never seen this idea disputed in any other forum. Those aren't basic sources. They are later sources reading what they want into earlier sources. So, if I understand you correctly, a Jew who is not studying Talmud and Poskim more or less full time, is not fulfilling the mitzvah of studying and "knowing" the Torah, and thus can not be considered a "good Jew", or what I have seen sometimes is "an authentic Jew". Correct? If this is so, then one could say "why bother with the rest of the mitzvot if I am failing in this one mitzvah which is equal to all the others. יש בכללן שתי מצוות עשה--(א) ללמוד תורה; (ב) לכבד מלמדיה ויודעיה. וביאור שתי מצוות אלו בפרקים אלו. such an important discussion and clarification. kol hakavod reb natan!